wouldn’t it be funny if Vinnie Vincent was the only one to show up at the ceremony? Actually, Joe, they haven’t been ticked off. They have dismissed their snub from the HOF for so long by saying it doesn’t matter and that its no big deal, etc. Now, that they are in, they all of a sudden care about all aspects of it. You knew that they cared even when they said they didn’t. The inductees from the Dead are listed below. Robert Hunter, while never playing an instrument, is the key lyricist for the band for the vast majority of their songs including Truckin’, Playin in the Band, Terrapin Station, Dark Star, Terrapin Station and Touch of Grey. While Garcia, Weir, Lesh et al created the amazing music that accompanies these lyrics, without Hunter there is no Grateful Dead. All of the other inductees that non-Deadheads may find unfamiliar still contributed significantly the band’s canon at one time or another. 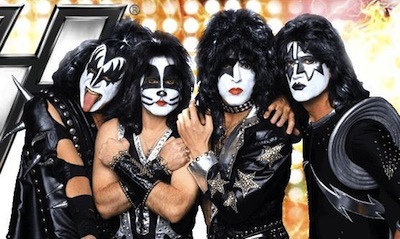 The same cannot be said for Tommy Thayer and Eric Singer. Both are talented musicians but they have made no contributions to the songs that made KISS the legends that they are other than to perform them in a live setting. As others have said above, the whole point would be moot if Eric and Tommy had developed their own characters rather than impersonate Peter and Ace. Half the bands Eddie likes are “hair bands”. LOL Sorry, but some of them, like Bon Jovi will probably get in. Bon Jovi’s part of the music establishment anyways, so it’s inevitable.